Are you a Tour Guide, Tour Manager, or Tour Professional in the Las Vegas Area? Join your colleagues in the premier organization for Las Vegas Tour Guides, the Las Vegas Tourist Guides Guild (LVTGG)! 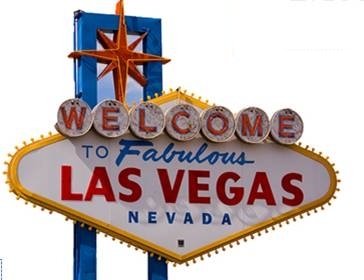 The Las Vegas Tourist Guides Guild is a membership organization of tour professionals and members of the travel and tour industry who live and work in the Las Vegas area. Guild Members are dedicated to promoting the integrity of our profession. We strive to improve the local tour industry and ensure quality service for our clients and customers. The Las Vegas Tourist Guides Guild advocates for the advancement of the tour guide profession and tourism. We also provide a liaison between tour guides and employers. The Las Vegas Tourist Guides Guild is a member of the National Federation of Tour Guide Associations (NFTGA). Now is a great time to join and receive the benefits of membership in the Las Vegas Tourist Guides Guild (LVTGG) ~ Join now and your membership will be valid through 2016! A personal listing on our website’s Members Page, www.lvtgg.com/members. Many guides receive weekly communication from interested companies interested in step on guides; these companies will contact you directly. Foreign language guides also receive a listing on our site, here: www.lvtgg.com/members/foreign-language-guides/. Annual or bi-annual Certified Professional Las Vegas Tour Guide (CPTG) training classes offered for members to increase their local and regional knowledge and professional guide skills, and attain the designation of LVTGG Certified Professional Tour Guide (see http://www.lvtgg.com/cptg/ ). Knowledge & recognition gained from becoming a LVTGG Certified Professional Tour Guide. Relevant gatherings, networking, educational field trips and events, often with complimentary admission to attractions and sites. The Las Vegas Visitors and Convention Authority (LVCVA) values our professionalism and often recommends our guild website when tour guide requests come to their offices. Hundreds of LVTGG brochures are distributed monthly to national & regional travel shows, through partner associations and the LVCVA Welcome Centers throughout Clark County. The information on the brochure leads the reader to visit our web site. Tourism industry networking, events and conference opportunities through the LVTGG membership in the National Federation of Tourist Guides Associations-USA, Las Vegas Territory, Destination Services Association, and the World Federation of Tourist Guides Associations. Interesting tidbits of regional and Vegas information from our board members, educational instructors and Facebook page stimulate timely exchange of ideas, facts and relevant material that you can pass on to your clients. Follow us on Facebook and Twitter – check us out and post some pictures, comments, and useful information and area updates. Your voice and expertise can and should be part of the dialogue. Individual Annual Membership dues are just $45 and you can sign up and pay online in minutes. Just one job or connection gained from your membership will more than pay for the small cost of membership. Now is the right time to join the LVTGG ~ join now and your membership will be valid through 2016! That’s more time for you to promote your skills, services, and guiding professionalism through our Members Page and your personal profile page, and more time that you can network with fellow guide and tourism professionals, and let your voice be heard. Show your professionalism – join the Las Vegas Tourist Guides Guild today! Click here to join using our easy online registration and payment, it just takes a few minutes! The best Tour Guides in Fabulous Las Vegas!